Make Zubicks the last stop for any end-of-life vehicle. Drive, haul or push your car or truck to our facility for competitive pricing and environmentally friendly recycling. We safely recover all oils and other hazardous fluids before processing. 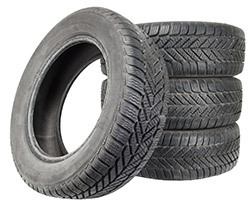 We recycle all tires through the Ontario Tire Stewardship program. Count on Zubicks for efficient professional service with one-stop convenience. We are ready to help you sustain your business under new regulations governing EOL vehicles. Contact us for an individual quote and volume pricing. What will new Ontario laws mean to your business? Call Zubicks to learn more!